Annastacia Palaszczuk has just completed the end of her first year as Queensland premier following Labor’s stunning election victory over the Liberal National Party (LNP). The LNP – and some commentators – identified Palaszczuk as an “accidental” premier, a byproduct of an antagonistic reaction to her predecessor, Campbell Newman. But Palaszczuk and her frontbench team have thus far proved successful in tackling three key problems: maintaining parliamentary stability, restoring relationships with the judiciary and police, and ending the perceived policy inertia in job creation linked in part to internal conflicts over environmental protection and in part to issues of managing debt without privatisation. Once Newman was removed, Palaszczuk’s opponents claimed she lacked any legitimate claim to the premiership because of the uncertainty of the outcome, especially when a court challenge initially loomed in one electorate, Ferny Grove. Both sides conducted protracted negotiations with the key independent, Peter Wellington (who became the parliamentary speaker), and the two members of the Katter’s Australian Party (KAP). Palaszczuk soon needed to deal with crises sparked by the behaviour of two newly elected Labor MPs. This reflected poorly on the thoroughness of preselection processes. First, North Queensland MP Billy Gordon’s failure to disclose his criminal history, and fresh allegations of domestic violence (he was later not charged), led to his expulsion from the ALP to sit as an independent. Rick Williams faced allegations of dubious business practices and allegations of sexual harassment. Then-police minister Jo-Ann Miller’s ill-judged involvement in this case created further tension inside the ALP caucus. KAP and Gordon combined on a few occasions to vote with the LNP – resisting restrictions aimed at reducing late-night violence and promoting legislation aimed at sugar industry re-regulation. KAP sometimes inserted new items on the policy agenda which the ALP eventually adopted or modified, such as the mandating of ethanol. But, for the most part, ALP electoral commitments to a modest range of legislative changes were progressed. This included rescinding Newman-era restrictions on the freedom of trade unions. The major issue Palaszczuk immediately faced was reconstituting an appropriate relationship with the judiciary and the independent anti-corruption body, the Crime and Corruption Commission (CCC), and its supervisory parliamentary committee. The problem of dealing with Chief Justice Tim Carmody, a controversial Newman appointee, took months to solve. It ended in his resignation. The appointment of Alan MacSporran to chair the CCC was made after much point-scoring about processes. MacSporran signalled his willingness to avoid the past era of politicisation and, if necessary, to ruffle police feathers in the process. Feathers were duly ruffled with the report of a commission of inquiry into organised crime, which included evaluating the impact of the Newman government’s controversial anti-bikie laws. Commissioner Michael Byrne questioned the relative benefit of allocating police resources specifically for this purpose when there were other more substantial policing problems associated with areas such as drug production and distribution, organised sexual predators, domestic violence and fraud. 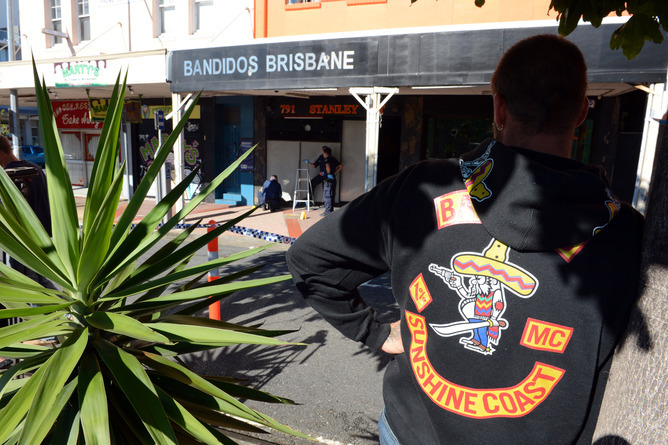 The Palaszczuk government reviewed its predecessor’s controversial anti-bikie laws. The new government also had to balance concerns about environmental protection against the imperative of creating new jobs to replace those being lost with the end of the mining boom. This had regional and political dimensions. ALP seats in mining areas outside Queensland’s south-east corner and the Right faction inside the ALP wanted to press ahead with coal mining at almost any cost. But ALP seats in and around Brisbane and the Left faction were more sensitive to environmental issues, especially concerning the Great Barrier Reef, and feared loss of support to the Greens. Decisions about the Adani coal mine in the Galilee Basin and the associated development of the Abbot Point port near Mackay became political litmus tests. The other source of jobs was infrastructure spending, tourism projects like cruise terminals, casinos, football grounds and expanded housing projects. Here the constraint was mainly the problem of debt and the confidence of private sector investors. The threat of restricted availability of supplementary funding from the federal government, especially to support rapidly escalating health services costs, also imposed limits. However, the obstruction and antagonism from the Abbott government gave way to a marginally more conciliatory attitude from Malcolm Turnbull. He embraced one of Palaszczuk’s signature policies – combating domestic violence – and indulged his own enthusiasm for public transport by supporting a light rail project for the Gold Coast. But some vocal elements within the local business community and the media felt more needed to be done. One of the characteristics of the first Palaszczuk ministry was its proclivity for holding inquiries rather than making immediate decisions. This could be viewed positively as a commitment to evidence-based research rather than rushing to judgement. It could also be seen negatively as a delaying tactic to avoid the unpopularity of making hard decisions. Not surprisingly, the media tended to take the latter position. Palaszczuk acknowledged these criticisms by inference when she specified the need for renewed effort from her reshuffled cabinet. She echoed Turnbull’s commitment to innovation and recognising the need for “tough decisions”. Her key priorities now revolved around diversifying Queensland’s economy and boosting foreign investment to create jobs. And while “infrastructure” is today the obligatory political buzzword, it’s not enough to produce a glossy infrastructure “plan”. Modern, rapidly transforming economies with fast-rising populations need that plan to translate into a concrete infrastructure “pipeline” of the type Queensland enjoyed many years ago. Some of us old enough to remember shudder at the thought of such a renaissance and the regime within which it was embedded.